Be our guest in this privately owned immaculate condo, a SUPERB condo is like a 2 bedroom because of the private curtained off Bunk Room, NOT along the hallway like most others! We are located 12 miles from Panama City Beach airport. For road travelers we have covered secured parking. 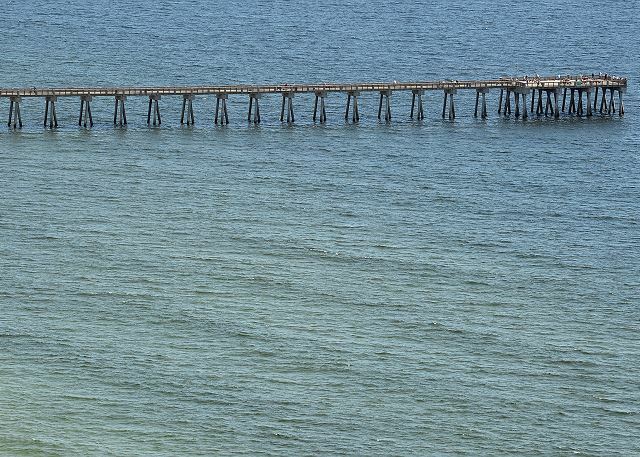 The Emerald Coast has been voted one of the top beaches in the world. 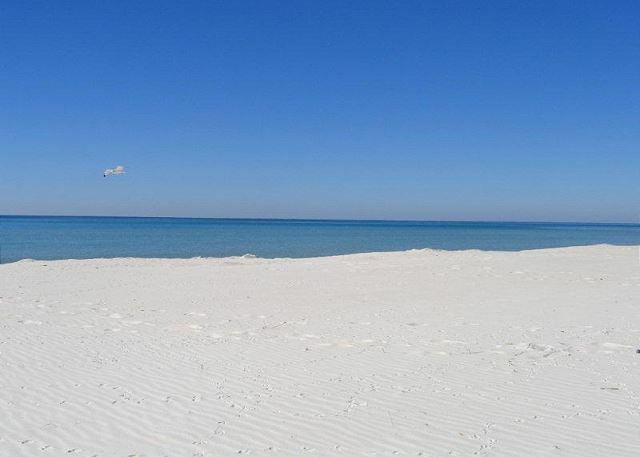 Location, Location, Enjoy a fabulous vacation here on the Gulf of Mexico's Sugar White Sandy beaches. 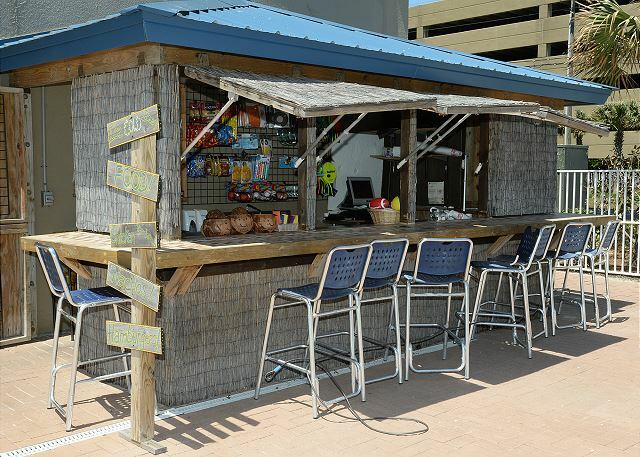 Come see what all the fuss is about; discover the old and the new Panama City Beach! 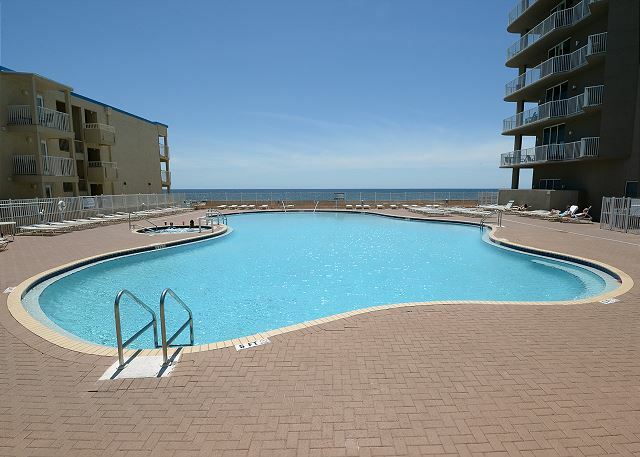 - Wireless access with guaranteed ocean front living! 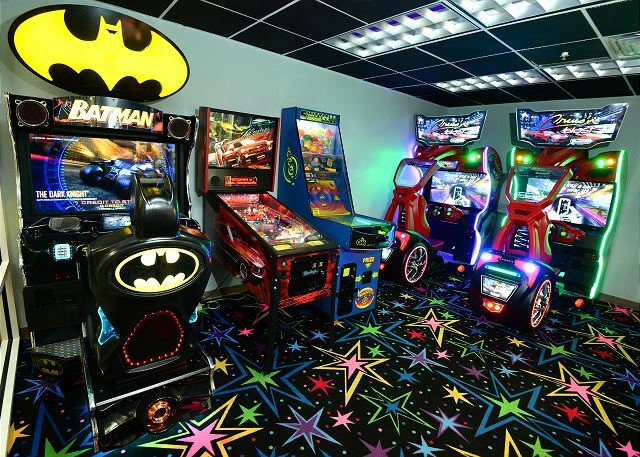 - An Entertainment, Restaurant & Shopping Haven all within a 1/3 mile. 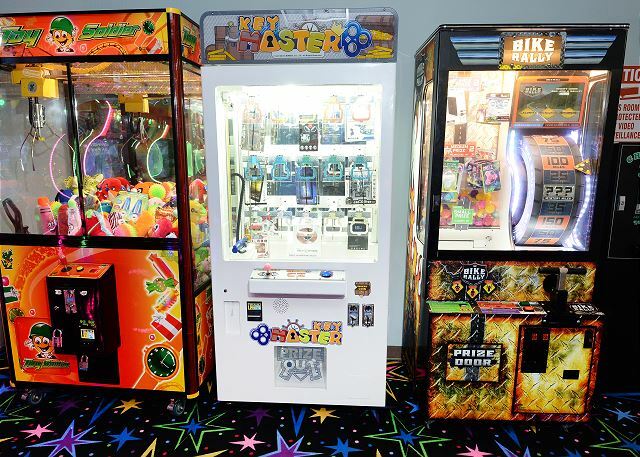 - The Historical Miracle Strip Amusement Park is also located in Pier Park. Fly Southwest Airline or Delta to our new Panama City Beach airport 12 miles from our beachfront condo. For road travelers we have covered secured parking. While gazing out the extra wide sliding glass doors there is tranquility of the ocean blue! 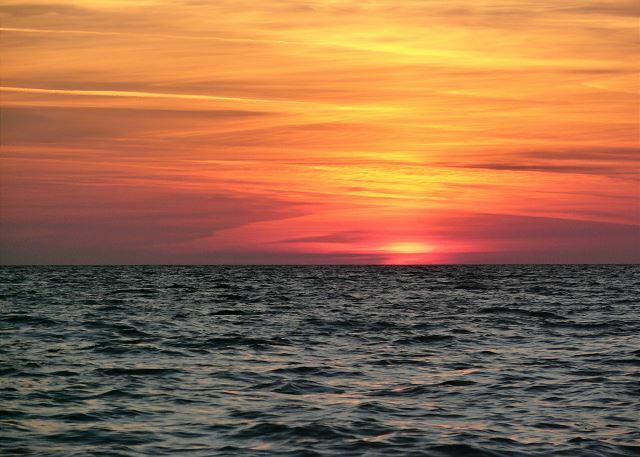 Enjoy beautiful sunsets, stingrays, dolphins and crabs along the shoreline from this magnificent 15th floor view. Accompanying you while sipping your morning coffee or nighttime cocktails from the balcony; in our lounge chair or padded wickers chairs, is the rhythm of the waves. Welcome to Our House is our home away from home! We take pride in all we can offer our guests. We vacation in our condo many times during the year; it is not just an investment property! We have selected a management company that is local; who manage bookings, cleaning and they meet with you on the day you arrive. They will assist you with your stay; their goal is to help make sure this is the best vacation you have had in years. Our goal is to earn your business so you can't wait to come back! Please read our reviews and guest book comments . All in all it was a great vacation. There were a few things like paper coming off in places on the cabinets. The shower door in the spare bath was leaking water in the floor when you took a shower and the master bath had a very slow drain, but non of that affected our vacation. It was great! Very pleased with condo and it was amazing to have chairs! I will certainly be back! This was our second time booking with Four Star and staying at Tidewater room 1516. The home is very clean and up to date. It has everything we need to start a great week at the beach. My family of 5 stays comfortable in the 2 bedroom home. There is making size bed in the master and bunk beds in the second bedroom and a sofa bed in the living room. The staff at Four Star are just awesome, especially Whitney. This year we were pleasantly surprised to learn that 2 beach chairs and an umbrella are now included with the room. Tidewater Resit is located on the whiter side of town but still close to everything. Room 1516 has become our beach home and we are so thankful for the great owners who allow us to share & enjoy this little piece of heaven. We were very happy with the condo. It was clean & had everything we needed. The location was perfect & the view was so beautiful. I loved being able to walk right out on the beach. I also felt safe because of the security of the building & the parking garage. The only complaint I have is they could have more elevators so you didnt have to wait as long on them & ride them with so many people. We will definitely stay again! It wasnt awful. Room was nice...a little snug for 6 people but it was nice. Washer and dryer didnt work well. Facilities were very nice. Hotel security was not ok. Always rude and wouldnt leave you alone. Very annoying. Im on vacation not there to be harassed every day by the same person about my wristband when you saw it 2 days in a row before that on my bag. 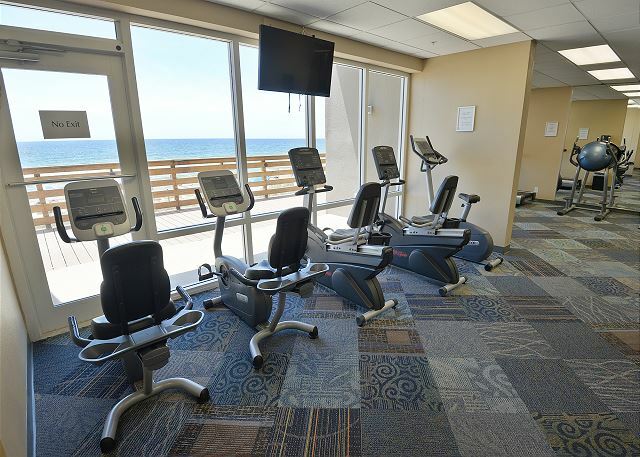 The unit was super clean and nice, loved the fact the we literally could walk right out the door of the building onto the beach. Loved being able to open the balcony doors and listen to the waves crash. Great location altogether. Waiting to get an elevator was a huge pain in the rear. Definitely did not like the fact that when we checked in my sister, brother in law and husband had to carry all of our things for the week from parking garage to the 15th floor, that was a nuisance. The WiFi worked the first two days and after that it kept saying no internet connection. Had no issues everything went well except someone took a beach chair from our condo but we did have door open for a few minutes with the chair right inside the door. Loved the restaurant in site. Great food great service. Security was nice and helpful. Even looked for the chair. We had a peaceful weekend without any issues. The condo was the perfect size for two people and was very clean when we got there. Couldnt have asked for more! Grt place , helpfull staff. The condo wasn't very clean as We hoped , the curtain which closed the bunkbeds'room was durty and the plastic curtain for the bath was broken. The longchair on the balconny was out of order, dangerous to use it. These items have been repared while we were rhere. The 15 th floor balconny had a great view on the sea and the beautiful sunset. This condo must be upgraded with paint and new furniture. The ventilation of all the resort must be cleaned ,specially at the pool and the spa , there had much dirty in the ventline.and the walls must be plainted too. We appreciated the security staff and the clerk staff who were always smiling and friendly. 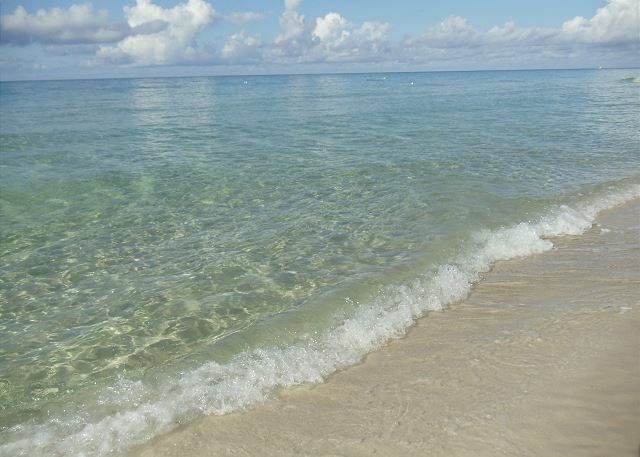 We loved the beach and the clear emerald water, we surely will come back at Panama City Beach and the Tidewater Resort . The unit was nice and clean. The overall property has lots of wear and tear. Our visit was in October - which would not be a busy time - and it still seemed crowded. Waits for elevators were lengthy, check-in was hectic with luggage carts, and facilities seem to need attention and better upkeep. We had not been to Panama City for many years nor taken a vacation for some time. I was hesitant to book through VRBO thinking there were hidden fees, etc. So I searched and searched and finally the family narrowed it down to a few places. We chose this rental since it was my wife and I wanting a king size bed, and with two daughters, we needed a second bathroom. This one had it. We arrived in PCB around lunch time and went to the Pier Park. It was great! We ate lunch and took our time looking around. We returned to Tidewater Condo 10 minutes before 4pm and waited at the door before the timed lock let us in. It was a wonderful place, clean and convenient. We had purchased beach towels at Walmart which was just a few minutes away. (Be sure to bring extra bath towels and TP.) We had a washer and dryer, which was awesome! We spent most the next 3 days by the beach where the water was just amazingly clear and beautiful. The girls got to swim with the dolphins at Gulf World! We just could not have had a more pleasant time! The vacation rental experience was smooth and easy. We arrived with all of the needed information in hand and was able to skip the registration line and found everything we needed already waiting for us in the unit. The condo was clean and pleasant with a beautiful view. 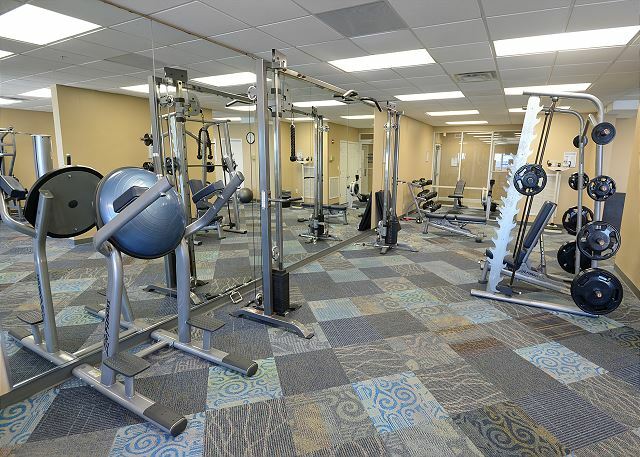 Enjoyed having an on-site restaurant and great workout facilities. Our overall stay at Tidewater 1516 was great!! 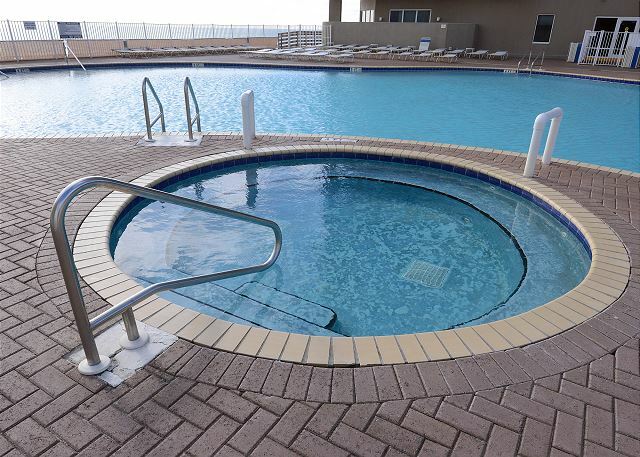 The condo was very nice, clean and the staff there was very helpful. Having the security on site all hours of the day and night made me and my family feel very safe. I saw reviews that talked about the elevator issues and in all honesty it wasn't that bad. Yes they were busier during the peak times of going to and from the beach and people going and coming back from dinner, but it wasn't that bad. It was nice having secured parking in the parking garage as well. I would have to say that my only complaint was when we originally booked our stay the listing stated two beach chairs were included with our condo and then apparently the condo was sold to a new owner who didn't purchase beach service and/or the previous owner didn't transfer their beach service to them, so therefore we didn't get our beach chairs. Kind of aggravating to find out and then have to pay $100 for 3 days of beach service and then not able to use the third day because of the weather. The right thing for them to do should have been for them to pay for us to have beach service. It wasn't our fault that they didn't take the proper steps to provide what was promised with our original booking with the previous owner. In the end, would I return to Tidewater? Yes we would.... Very nice resort, staff and amenities!!! Property was great, except for the elevator. There was times that we waited 15/20 min on elevator. With a 3 year old and room on 15th floor the stairs were just not an option. The arrival was a little hectic also as you have to place your name on a waiting list to borrow a cart to unload. Overall it was fine though. I was a little unsure booking with this company because of how inexpensive it was. However, I was pleasantly suprised. I can honestly say I have no complaints about the condo. It was clean, exactly as the pictures showed, and had an awesome view. The condo was equipped with most of the things we needed during our stay. I felt safe and it was a short walk to the pier and pier park, which was very nice. Overall, a great vacation rental and I would definitely book again. Nice condo, beautiful beach and convenient to everything. My wife and I have rented this unit for 2 years and it fits us very well. The size and floor plan of the unit, plus the view from the 15th floor is great! We felt very much at home from the beginning. We rented this condo for 4 days. The goal of the trip was to completely unplug from everyday routine. It was a very relaxing stay. Condo was everything represented to us. Very clean and comfy. We will be back!! The unit is on a good floor, close to end elevator. Upon arrival at midnight the toilets were dirty and the bathroom floors. Hair & grime on the tanks, obvious they hadn't been wiped down in a while. Hair in the floor around the edges & corners. Appeared the cleaning crew took care of the major areas but not what I call clean when you can SEE someone else's hair. I emailed (midnight didn't want to call) and advised them and they called the next day saying they would be there in 5mins to clean. If they ever showed up they did nothing but clean the inside of the toilets. We played email/phone tag and I was told they had sent their 'best cleaner' to which I politely told them it wasn't clean still. I finally said I wasn't spending my vacation waiting for them to do what should have been done before arrival. One morning we had someone enter our unit while we were sleeping and ran out slamming the door. Again called the manager & they said they would find out who it was, I never heard back from them. Overall the unit was 'ok' but needs some updating. If you are use to an updated unit that is taken care of this one is not for you. We very much enjoyed our stay in unit 1516. It was clean, quiet and comfortable. There was a lot of construction happening in he building, which made the elevator situation a little unwieldy, but nothing we couldn't work around. Sadly, the erosion of the beach behind Tidewater was pretty obvious. I hope they can get it built back up. We would recommend this condo! We were in P.City for the softball World Series with our daughters. 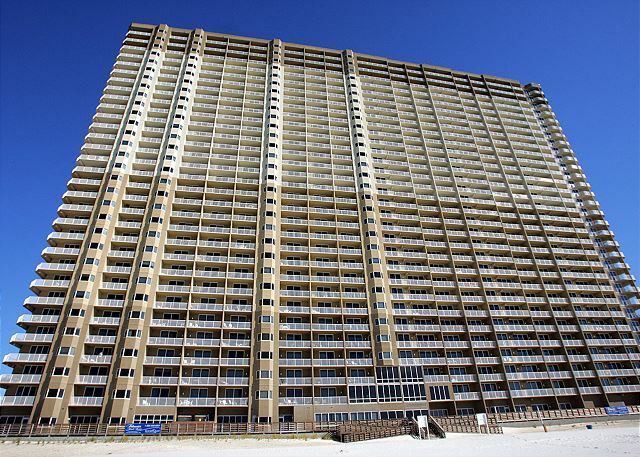 Tidewater is a great location to walk to Pier Park & minutes from Frank Brown Park. Ellen (owner) was fantastic to deal with from the time I inquired until the time we departed! The cleaning person was also great to deal with...the condo was very clean! The 2 beach chairs included was a great perk. Our only issue at Tidewater was the elevators are very slow, but being on the 6th floor we just took the stairs. Thanks Ellen for a great family vacation/softball trip!! Couldn't have chosen a more ideal location or condo. Upon our arrival made the obligatory trip to WalMart and parked our car for the remainder of our stay. Stunning views of the ocean from our balcony. 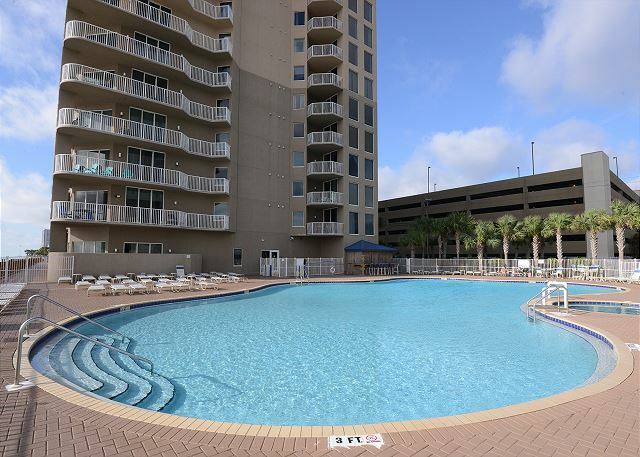 Perfectly appointed, clean, well-maintained, VERY secure condo, AND within walking distance of Pier Park. Highly recommend Tidewater Beach Resort.